Meet the women behind the Conquer & Connect Community and Retreat. Jasmine Brett Stringer is principal of JB Stringer LLC and founder of the internationally recognized lifestyle brand Carpe Diem with Jasmine. Jasmine leverages her experiences from working with Fortune 500 companies and brands such as Kraft Foods, General Mills, Toyota, Box Tops for Education, Fox Searchlight, Publicis Groupe and the Oprah Winfrey Network (OWN TV). 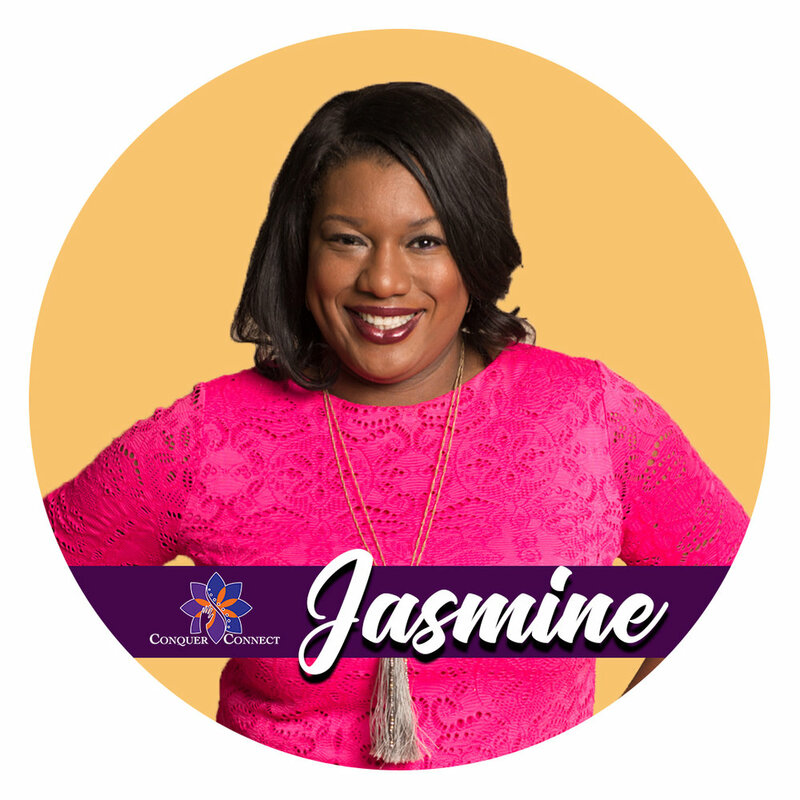 In addition, Jasmine inspires and empowers audiences to identify their goals and achieve their own definition of success through workshops and seminars focused on how to seize one’s life. their life on her weekly podcast and lifestyle blog entitled, Carpe Diem with Jasmine. Jasmine volunteers as a Commissioner on the Human Rights and Relations Commission for the City of Edina, MN. She is also a board member to the American University Alumni Board; a sustainer representative for the Junior League of Minneapolis; a member of the Guthrie Theater’s Open Call Committee and a 2018 graduate of the Minnesota Agriculture and Rural Leadership Program. Jasmine and her husband split their time between a farm in Southern Minnesota and Minneapolis, MN. served on the Minnesota Super Bowl Host Committee, where she was responsible for leading the Project and Risk Management Office. Performing Arts, Phillips Eye Institute Foundation and Play Like a Girl.